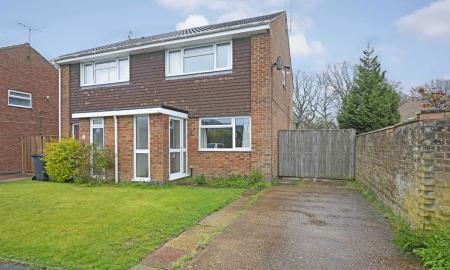 This recently re-carpeted two bedroom semi detached house is located in this quiet, highly regarded residential road. The well presented accommodation comprises entrance porch, living room, fitted kitchen, two double bedrooms and a bathroom. There is an attractive rear garden, detached garage and off road parking.